Looking for a puppy that won’t get too big? Look to the toy group and non-sporting group. Many of these dogs retain their round faces, big eyes, and small noses even after they’re full grown. According to Austrian biologist Konrad Lorenz’s idea of “kinderschema” these traits, along with large foreheads, round features, and round bodies elicit a nurturing response in people and make them act tenderly. If you’ve got a soft spot for little dogs and want a pooch that’s easy walk and take places, explore these 5 breed recommendations. The cheerful, even-tempered Bichon Frise with a round face will grow up to 11 inches tall and weigh up to 12 pounds. These little guys are easy to cuddle. 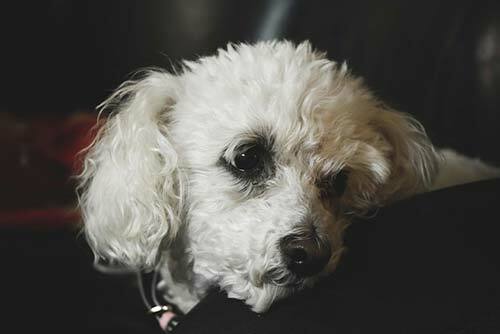 In fact, Bichon Frise means “curly lap dog” in French. These pint-sized dogs don’t cost as much to feed as larger breeds. Bichons get along well with children, pets, and city living. These sweet, affectionate dogs are excellent for companionship and have been popular amongst European nobility throughout history. Bichons are small, active dogs with clownish personalities that can be quite entertaining although these social animals are prone to separation anxiety. This peppy little dog descended from the Barbet, a medium, wooly-coated French water dog and has retained its signature coat. Bichon puppies are covered in a plush white, cream, or pale yellow non-shedding curly coat that feels velvety to the touch. It almost feels like a cotton ball. The high maintenance fur needs constant care including professional trims by a groomer. Delicate Bichons have large, black eyes, black nose and lips and are part of the same family as the Havanese, Maltese, Coton de Tulear and Bolognese. Nicknamed the “American Gentleman” the gentle and affectionate Boston Terrier will grow to be up to 1 foot 3 inches at the shoulder and weigh up to 25 pounds. These study and muscular dogs are easy to walk because of their smaller size. Boston Terriers have round, expressive faces with a short, wide muzzle. They snort, grunt, and occasionally bark. Boston Terriers have three striking color patterns: brindle, black, or seal with white markings. Seal looks like black but when the dog stands in the sunshine it causes the fur to appear red. These clownish, sweet-natured dogs were originally bred to be fighting dogs. They came from mixing English Bulldogs with the now extinct White English Terrier. Nowadays the Boston Terrier has come a long way from his fighting roots. Boston Terriers of today are companion dogs and delightful friends. With their boundless energy, these dogs are the life of the party. It’s best to keep an eye on them when they’re in warm conditions. Boston Terriers tend to overheat and suffer from respiratory issues due to their squished, wrinkleless snout. Cavalier King Charles Spaniels will grow no larger than 13 inches tall and weigh around 18 pounds. They are roughly the size of adolescent spaniels. Their sweet, gentle, and loving temperament mean these pups are nice to everyone and they love being showered with affection. Keep them on a leash, though, because these dogs are not particularly street smart and may run into traffic. Cavaliers have a hunting instinct and may chase small animals or birds. This small spaniel thrives on human interaction and will happily live anywhere. Historically these dogs sat on the laps of nobility and slept in their beds to attract fleas. Nowadays this kissable pooch has a gentle, melting expression and large dark eyes and comes in four colors: Tri-colored or Prince Charles, Black and Tan or King Charles, Ruby or Rich Mahogany and Chestnut and White or Blenheim. Their silky, slightly wavy coat has feathering on the feet, tail, chest, legs and ears which begs you to pet it. If you want a pint-sized “purse dog” with a big dog attitude look no further than the 6-pound 8-inch-tall Chihuahua. Their rounded or “apple” head,” erect ears, and large expressive eyes practically beg you to put the dog on your lap. Oftentimes Chihuahuas will be intensely loyal and protective over one person and want lots of attention. These tiny dogs don’t do well in cold weather but will get lots of attention from people when you take the dog out in public. Havanese are smart, trainable extraverts that keep barking to a minimum. Dubbed the “Velcro dog,” the Havanese will grow to be about 11.5 inches tall and weigh up to 13 pounds. They aren’t mature until at least a year old. Havanese hail from wealthy dog owners in Cuba who wanted a companion dog. This little pup isn’t a backyard dog, and it can be a challenge to housetrain. Havanese love learning tricks and will require exercise like a daily walk. These affectionate and happy dogs prefer to be with their owners as opposed to anywhere else. 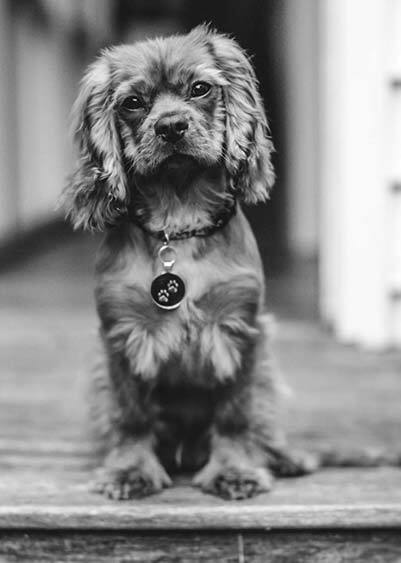 Ultimately, if you’re looking for a dog that looks like a puppy and won’t grow to be much larger than one, the Havanese, Chihuahua, Cavalier King Charles Spaniel, Boston Terrier, and Bichon Frise are smart choices for a next pet.